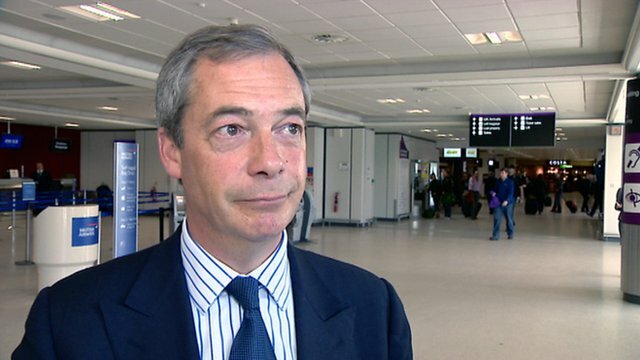 Farage: 'I've been in worse places' Jump to media player Nigel Farage, leader of the UK Independence Party, speaks to BBC Scotland about the protest on his visit to Edinburgh. 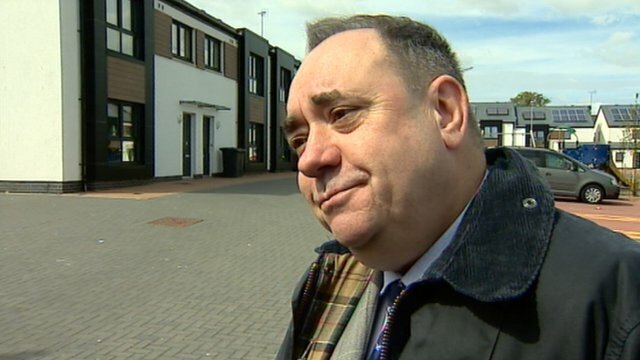 Farage protest 'must be put in context' Jump to media player First Minister Alex Salmond says the protest during a visit by UKIP leader Nigel Farage needs to be put into context. 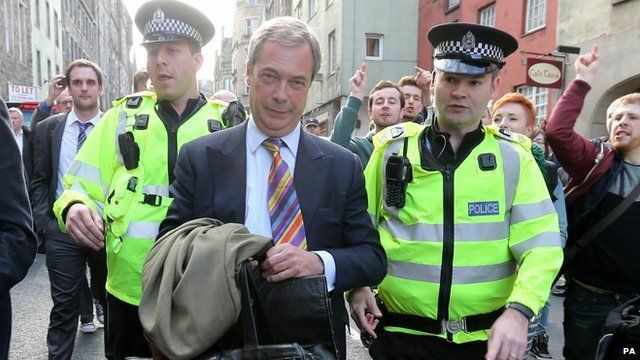 Hostile demonstration greets Farage Jump to media player UKIP leader Nigel Farage faces a hostile crowd during a campaigning visit to Edinburgh. 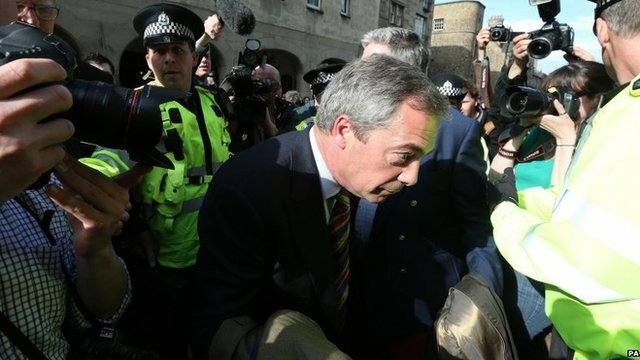 Farage: Scottish nationalism 'pretty ugly' Jump to media player The UKIP leader Nigel Farage describes protestors who disrupted his party's news conference in Edinburgh yesterday as "fascist scum". 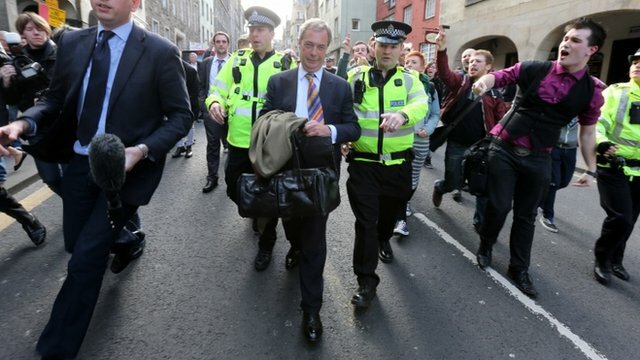 UKIP leader Nigel Farage has hit back at protesters who besieged him in an Edinburgh pub. Mr Farage said the anger was linked to a desire for the Union Jack to be burnt. He also told Good Morning Scotland's David Miller that UKIP had set its sights on Scottish success. But the UKIP leader later hung up saying the interview was "was insulting and unpleasant". A spokesperson for BBC Scotland said: "The BBC stands by the interview, which was robust but fair."